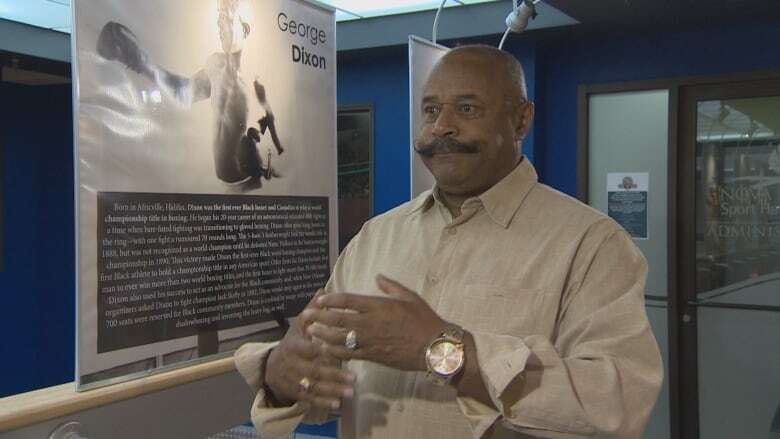 A large portrait will be unveiled for Africville native son and world boxing champion George Dixon on Aug. 29 at the George Dixon Centre in Halifax. 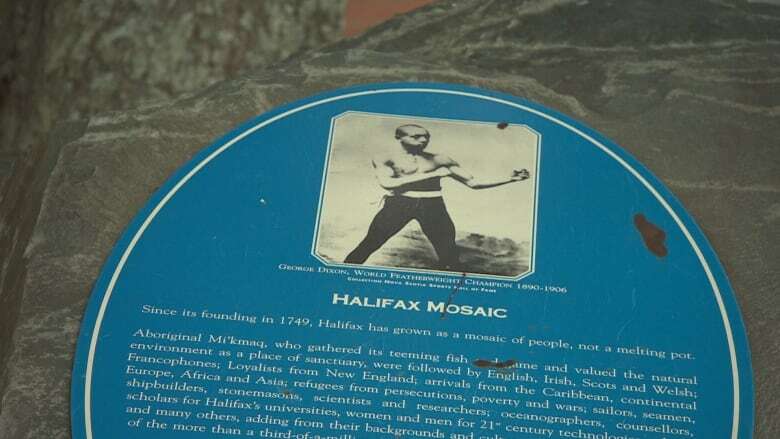 A Halifax community centre is named in his honour, he's inducted into several sport halls of fame and he's credited with inventing shadowboxing. Later this month, George Dixon, Africville's native son and world boxing champion, is about to get more recognition. 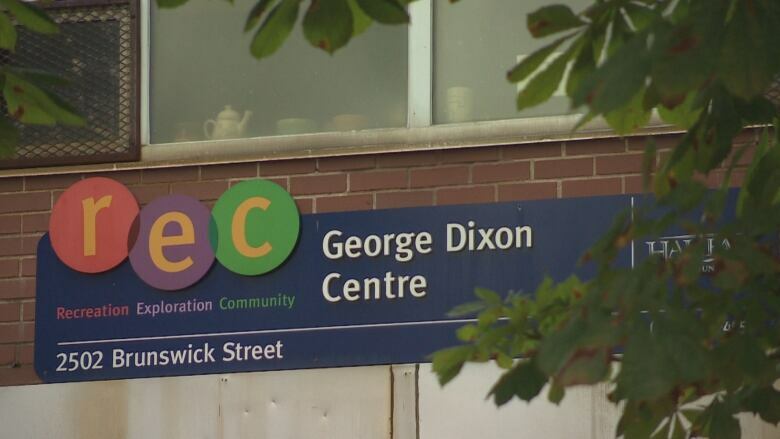 On Aug. 29 at 1 p.m., Halifax Parks and Recreation and the city's African Nova Scotian Affairs Office will unveil a large portrait of Dixon at the George Dixon Community Centre on Brunswick Street in Halifax. 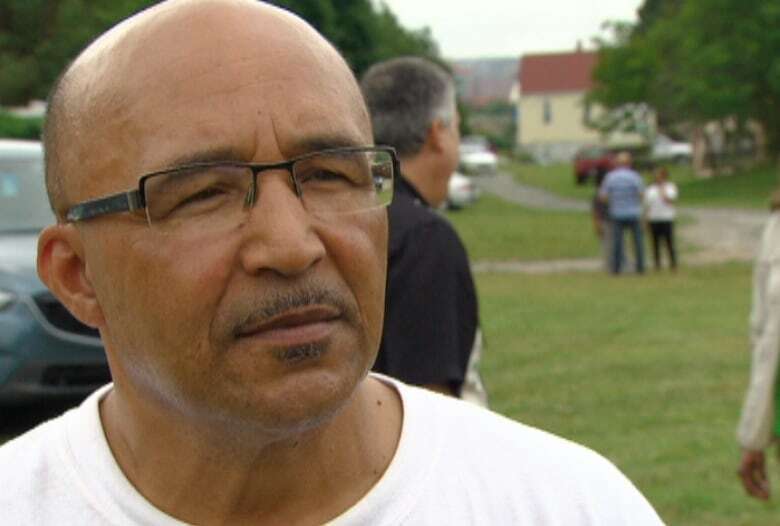 "It means a lot to Africville because here is one of us being recognized," 69-year-old George Grant, one of George Dixon's descendants, said. "It's great, long overdue … because our generation (doesn't) know that much about George Dixon." Grant said he hopes it will inspire more discussion of Dixon and his accomplishments. Who is the greatest Nova Scotia athlete of all time? As a young boy growing up in Africville, Grant heard from some community elders that Dixon was one of the greatest boxers to come out of Canada. 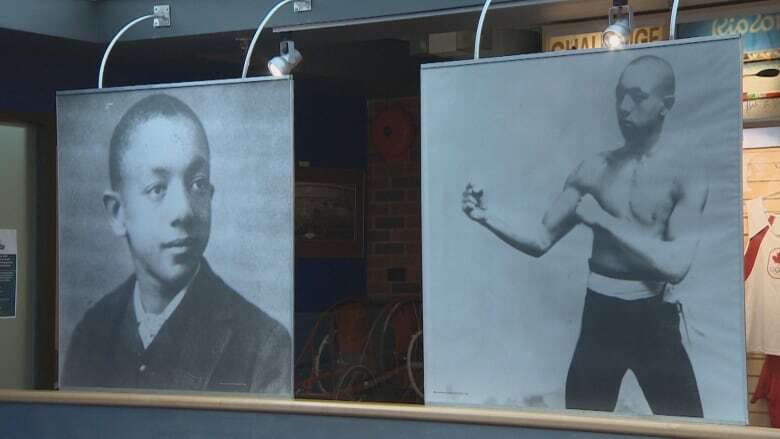 Recently, standing inside the Nova Scotia Sport Hall of Fame, Grant got choked up with emotion as he saw for the first time two large panels of Dixon — one in a boxing pose and the other of Dixon dressed up — hanging from the ceiling. "It's amazing, a relative of mine from Africville, made a name for himself," Grant said, pounding himself in the heart. "Proud. Very." Born in Africville in 1870, Dixon left Halifax at age 16 to pursue a professional boxing career in Boston, Mass. He won the bantamweight crown at age 18. "He was our treasure from Africville and it's unfortunate that we don't have that history in our (Africville) Museum," Grant said. According to the Nova Scotia Sport Hall of Fame, Dixon fought an estimated 800 fights, with 38 knockouts and roughly 150 recorded matches. Dixon, known as Little Chocolate, stood just over five-foot-three and weighed only 87 pounds when he first stepped into the ring professionally in Halifax. He was the first man ever to win three world titles — paperweight, bantamweight and featherweight. He was the first black man to win a world championship. "He was a good man," said Grant. "He never really did drugs, got into trouble. He was clean-living man until later on in life when his career started to fade then he got into the alcohol and that sort of was the demise of his career, and his life." Dixon amassed an estimated $250,000 during his boxing career, but died a beggar when he was in his late 30s. He died in 1908 due to complications from alcoholism in New York City, according to Shadowboxing: The Rise and Fall of George Dixon, an award-winning biography of Dixon written by Steven Laffoley. He is buried in Boston. He was inducted into Canada's Sports Hall of Fame in 1955, the Ring Magazine Hall in 1956, the International Boxing Hall in 1990 and is an original member of the Nova Scotia sport shrine. He placed sixth on a recent list of Nova Scotia's 15 all-time greatest athletes as selected by a panel for the provincial Hall of Fame. "We just (got to) get that word out that the best pound-for-pound fighter in the world came out of Africville," Grant said. Irvine Carvery, president of the Africville Genealogy Society, also remembers hearing stories about Dixon's fame in the ring from men in the community when he was growing up. "But it was later on, when I started doing … my own research on Africville that I found out the full extent of his accomplishments in the boxing world," Carvery said. "He just took the boxing world by storm, this little guy out of Africville." 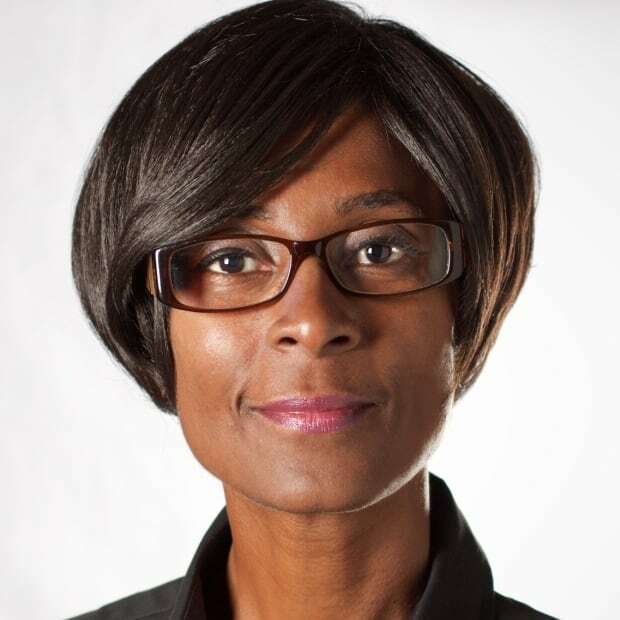 Carvery would like to see a memorial for Dixon placed inside the Africville Museum. "It's only through The Ring Magazine and the boxing of the day that this rich history of this man comes out," he said. "So, it's our job to collect whatever we can find and put it up for when people come to visit the museum."